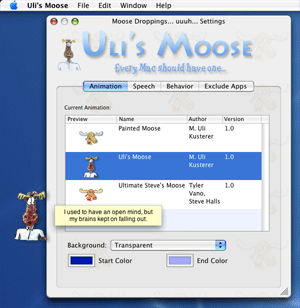 The Talking Moose has been a part of Macintosh history since 1986 (20 years! WOOOO! ), and no Mac can truly be called complete without it. Good lord. The canadian moose is still as annoying as ever. I give it a 9.2.